There’s lots to do for kids at Kempenfest. From the exciting Traveling Theme Park to the Tim Hortons Family Centre, to arts and crafts demonstrations for kids, there’s no reason to leave the youngsters at home. And if that’s not enough, check out the accessible playground at Centennial Beach and take the kids for a dip in Barrie’s popular waterfront beach. And new this year, Jump On! A new inflatable on-water attraction (fees apply) Summer is for kids, and so is Kempenfest. Your first stop should be the Robertson Traveling Theme Park Midway – sure to thrill your kids for many hours. The hot attraction again this year is Drop Zone. Go ahead, join them for a tummy turning trip. Fun? Wow! Kempenfest chooses to partner with Robertson Amusements because of their impeccable safety record, the clean and attractive rides, and their friendly and helpful staff. Have some fun at the midway. And even if you take away everything Kempenfest has to offer your kids you’re still left with one the favourite parks there is in Barrie. Between the accessible playground, sandy white beach Centennial Park is one of Barrie’s most popular parks. So if all else fails, make sure you pack a swimsuit and go jump in the lake with your kids. You’ll both love it. 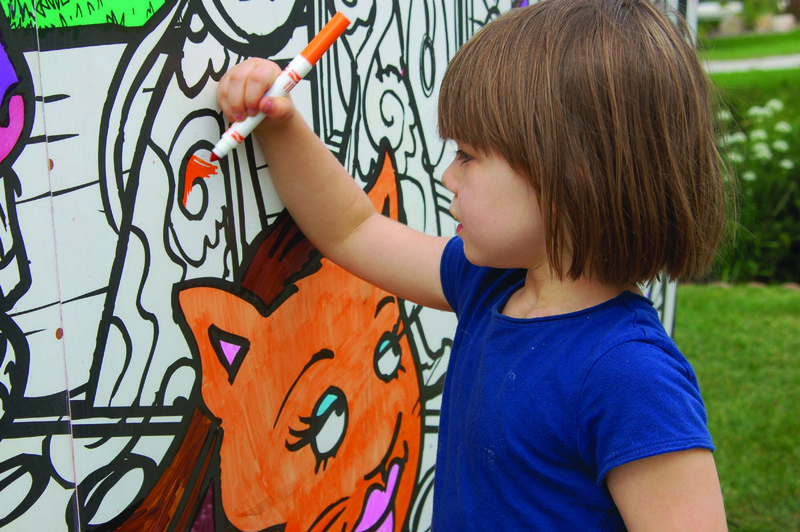 Stop by the Tim Hortons Family Centre where kids can paint our giant mural, or pick a mini bird house to paint, or do lots of other arts and crafts. There’s lots of games and activities, quiet places for nursing moms to take a break. Grab a bite to eat from Beavertails or Pita Pit. Surrounded by Centennial Beach and the Accessible Playground, the Tim Hortons Family centre is hosted by Barrie Lions and YMCA volunteers. Great thanks to Tim Hortons and Ontario for supporting this new adventure.